The FC generation Mazda RX-7 was produced from 1986 thru 1991 and powered by the 13B rotary engine. Unfortunately the 13B is about a reliable as a blind crossing guard and the resulting regular and catastrophic engine failures have created numerous cheap FC shells for sale. Those shells often find themselves filled with cheap and powerful V8s...cue the burnouts & hooning. 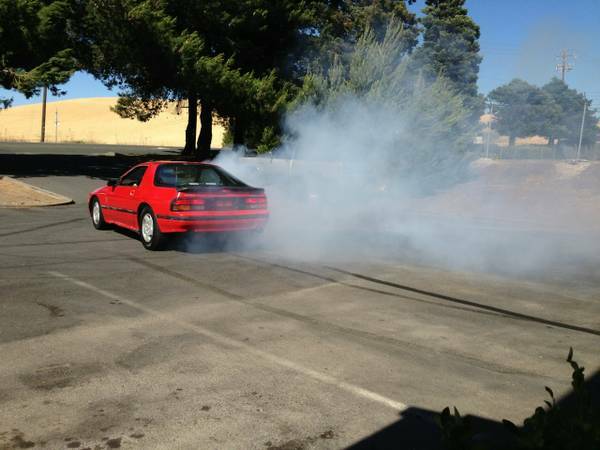 Find this 1988ish RX-7 FC V8 for $2,200 located in Napa, CA via craigslist. 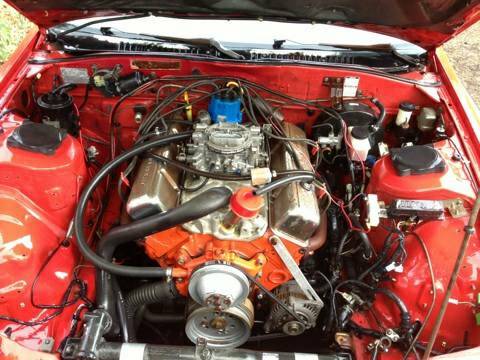 Thanks to tip from Jeffrey L.
The seller doesn't include much information on the build of this small block Chevy V8 powered FC, but he does say "come and get it." For $2200 you can't be very picky...if this thing runs/drives it won't last long and may show up in a 24 Hours of LeMons race in the near future. That smokey burnout is about to end in curb hopping fury. Nice price for a crack pipe of a car. I guess the real question is will it smog..